The client/photographer interview is a crucial meeting and one that you should be prepared for. I don’t mean to sound so ominous but you can bet you dollar the photographer has prepared even if that preparation is by conducting them previously. So why shouldn’t you be just as prepared? I can tell you that 1 in 15 couples that come to see us for the initial meeting have prepared in some way. The others visit us look at some images and then are more than happy with what they see and book us for their day. But this is your one time to test you photographer, so try to make them sweat a lot. I always enjoy seeing a bride to be coming in with a folder with notes and pages of documents, it means she has an idea of what she wants for the day and she is damn sure her service providers will provide it. Now the grooms they come along and sit; sometimes ask questions but more often than not they are here to make the bride to happy. Nothing wrong with that as long as one of you is asking the tough questions. How long after the wedding will it be before the work is complete? What backup plan do you have if you’re sick? Do you have a backup plan for bad weather? How do you back up the wedding images and for how long? Do they have a finished wedding you can view? As you can see a lot of these questions are about backup plans. This is very important, the images from the day will be some of the most important of your life so you need to know the photographer has contingences when things aren’t perfect. Who owns your images? This is a big issue for me. Why would you spend $2000 to $3000 on a photographer only to have access to some prints? As the years go by and technology pushes us towards a digital world and away from the tangible one you want to have access to your images at all times in a high resolution format. Now some photographers may charge you extra to get a high resolution copy, that’s ok, the photographer has to put food on the table during the non-wedding season too. You just want to have the option of getting your images one way or another. Personally I include access to high resolution copies with all our packages because I feel it is your wedding day and these are your images. Once the honeymoon is over and the visiting guests have left, the wedding tends to become a memory quite quickly and reality of normal life comes flooding back. Once you head back to work one of the first questions you will be asked is, “where are the photos?” Ask your photographer the question of time frames, it’s important to get your images back as soon as possible, but you also need to be aware that during that time the photographer may also be working on other weddings as well. As a generally rule of thumb I like to have a web gallery up for the couple at around the 2 week mark. This can sometimes be 3 weeks if it’s a busy time, but I also communicate that with the bride and groom on the wedding day so they are not waiting. I then like to have the printing, proof albums and discs ready at around 4 weeks. One last thing I like to do is on the night of the wedding, I get home I import the photographs and find one great image of the couple, I do a quick edit and e-mail it to them. That way they have a sample of what’s to come and something they can show off until they receive the rest of the work. What does your photographer do if they are sick or injured? This is a big concern for couples, after all that planning you do not want to get a phone call the morning for your wedding to hear your photographer can’t make it. In your first meeting ask the photographer what their plan is? And while yes the likely answer is I don’t get sick, push them because everyone does at some stage. I am lucky working with Natalie I have a built in backup plan. I have to admit, I would have to be on my death bed not to attend a wedding. But I wasn’t always this lucky, 7 years ago when we started Warnock Imagery Natalie could take great shots but she simply wasn’t ready to shoot a wedding by herself. So I had a good friend who I had worked previously with who had also started doing weddings around that time as a backup and I was hers. If needed to, I could call her and she would cover for me. Now 7 years later I would have no problem sending Natalie if I was too sick to attend or even acting as the assistant on the day I was simply not up being the principle photographer. It’s an important question to ask and one I have only been asked twice in 7 years. Does your intended photographer have a backup plan for bad weather? OK this one is unlikely here in Perth but it does happen. I wrote an article about here. But just to recap, if the weather is absolutely shocking what will the photographer do? Personally I do what I can on the day, some guest may not be able to make it back again. I bring the immediate family and VIP guest back to our studio where we can supply warm coffee and dry shelter and we at least get some lovely family shoots. I then offer the couple a post wedding shoot at the locations of their choice free of charge, after all the weather is just one thing you cannot control on your wedding day. How long does the photograph store and backup your images? Weather you were able to negotiate a set of images or not what happens if in 2 years’ time you want one of your images? This is a good question to ask because it starts to involve the “behind the scenes” mechanics of photography. Ask the photographer what their backup plan is; if you don’t hear the term “offsite” ask about it. Without offsite backup your photos are not truly safe. You should also hear “multiple copies”. I like to work around the premise unless the image exists in 3 places at once it’s not backed up. If you are happy with what you hear then also ask for what time period. I state that I archive the images for 7 years, but in reality it’s longer. I will keep the hard disks active and looked after for 7 years but after that time I will not destroy them I will just keep in a draw; I just cannot guarantee images for longer than 7 years. Finally, ask to see a finished wedding if possible. This is not always possible because the photographer may simply not have one waiting to be collected or they are trying to protect the couple’s privacy. But if you can it’s a great thing to see. A photographer’s folio is their visual resume, only the best images go into the folio. You will see many pictures of many different couples in many different locations. The locations will be perfect and the couples stunning, but what about the other images that didn’t make the folio? This is where seeing a fully finished wedding can be great. It allows you to see all the images that the couple gets from start to finish to give you a better picture of how your day will be recorded. Weddings are one of the biggest days of our lives. And with them come some of the most important and taxing planning you will likely do in your life. From flowers to the dress to photographs and cakes, every part of your big day needs to be arranged and only you have an idea of how you want your day to go. Now I can’t really help you with the other aspects of planning your wedding but here are 5 vital things to look for in weddings photographers. It does not matter whether you want a small and discrete occasion for a close group of family and friends or if you want a huge affair, everyone has a budget in mind. When choosing your photographer make sure they are within your budget. I do something that not many photographers do here; I have a full list of prices and packages on my website Warnock Imagery. This allows all prospective couples to see our prices and decided whether or not we fall into their budget. I am a consumer like everyone else and I really dislike a service that needs me to contact the company for a quote. I just want to see if I can afford or justify the expense not be harassed but marketing people for the next 6 weeks. Style; Is the photographers work a style that you like? Style is and should be one of the major decision makers for your choice, after budget. With digital photography so readily accessible today there are many, many photographers to choose from but many of them have graduated past bad photoshop actions to cover up bad photography. Just have a look through FaceBook. I may be a little bias but having started my photography work back in the dark ages of film I tend to believe less is more when it comes to stylized effects. Don’t get me wrong I do use them and there are wonderful photographers out there that use them exquisitely but I much prefer to stay clear of the “FaceBook” photographer trends and concentrate on good quality images. The other thing to beware is no matter what the price, if you simply do not like a photographer’s style nothing will change that. They could be one of the most expensive on your list and everyone raves about them but photography is very personal. Nothing will change your mind if you simply don’t like their work. Experience; experience will normally go hand in hand with cost; normally the less experienced photographers will charge less. But even if your budget denotes that you need to look at cheaper service providers it is always good to ask the question, “How long have you been doing weddings?” Experience will give you an indication on many things both during and after the wedding has taken place. An experienced photographer will know how to handle people, both in posing and just in general interaction. Simple things as having any grandparents photographed first during the family photographs is so simple but also a simple thing to overlook. Experience will show through when the photographer is posing the bridal couple, do they look at all aspects even how the couples hands fall? And experience will give you piece of mind that your images will be ready in an appropriate timeframe after the wedding and that the photographer is using adequate methods of backing up your digital images in case of computer failure. Flexibility; every wedding is unique so how flexible is your wedding photographer? Is the final product something you want? The wedding photographer needs to be flexible both during and after the day. Will they stay a little longer if the wedding runs longer then expected? Do they charge for that? What happens if I do not part of their advertised package? Can I get high resolution images? These are all questions the photographer should answer directly or indirectly in your initial client meeting. The way that we work is simple; we are there to photograph your day. If your day runs over by an hour we will still be there and no; you will not see extra charge, we will not walk out when your time is up and if you don’t want part of the package such as the engagement session or photobook we will remove that cost for you and yes we always supply our clients with high resolution images on a disc. 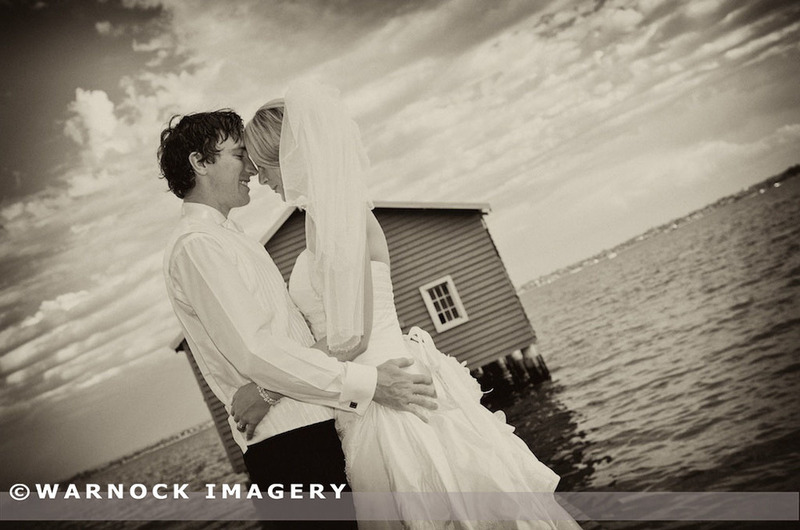 Our packages at Warnock Imagery are a guide and one set to help our couple choose what they want. The last thing on my list is also the most – PERSONALITY. It is so important that you like your photographer as you are with them all day. You do not spend the day with your dressing maker or your florist or the cake maker but you spend a good portion of your wedding, which should be one of the biggest days of your life, with your photographer. So do not rush in, take your time and choose the right person for the job. It must be said that we are not rock stars although some of us may act like it, we are simply service providers. So if after the initial meeting you do not feel comfortable that your photographer will put your needs and the needs or your guest before their own then please do yourselves a favour and move onto the next name on your list. Well to say that this blog has been shall we say forgotten could be a slight understatement, but that's not to say I have not wanted more from it. There is a definite balance of time, resource and dedication required and I mostly have two out of three of those. But over the last few months I have worked on the redesign and bringing items over from the old blog to this new one. I have plan for this so lets see if I can stick with it.